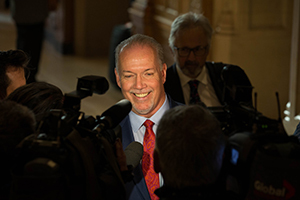 June 18, 2013 − Premiers recognize that a skilled and productive workforce is critical to creating good jobs and driving economic growth. This is why provinces and territories design, deliver, and report publicly on training programs that reflect local labour market needs. These programs, including some funded in part by the federal government, achieve measurable outcomes and help a wide variety of workers get the essential training they need to find jobs. In its 2013 Budget, the federal government announced its intention to change the way it contributes to training programs in Canada. Premiers welcome a greater role for private sector job creators, but the proposed changes would take funding from programs that help the most vulnerable people who need additional supports to find jobs. During a recent conference call, Premiers discussed the potential impacts these changes may have on the successful training programs provinces and territories already have in place, which are built on evidence and respond to ever-changing labour market needs. 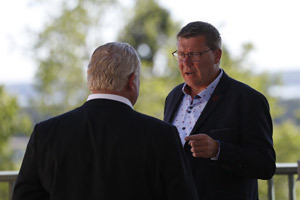 Premiers agreed on the need for flexibility in federal funding to continue to deliver effective training to ensure workers can access the labour force and employers can hire the workers they need. “The federal government is proposing a one-size-fits-all approach. 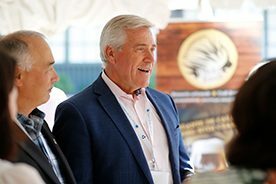 We need to have flexibility to respond to the different labour market needs in each part of the country,” said Nova Scotia Premier Darrell Dexter, Chair of the Council of the Federation. While skills training is provincial and territorial jurisdiction, all orders of government contribute to workforce development. To ensure the continued effectiveness of skills training and labour market programs, federal funding for skills training and labour market programs must be adequate, equitable, long-term, predictable and not mandate cost matching. 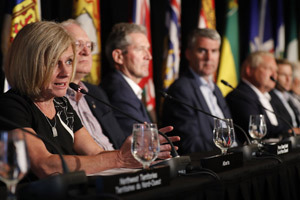 Premiers stress the federal government should collaborate with provincial and territorial governments and support them in a way they can ensure the most effective and successful programs will continue to benefit Canadians. 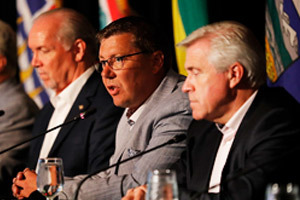 Premiers believe federal funding agreements or initiatives such as the proposed Canada Job Grant must allow jurisdictions to opt out, with full compensation. “Throughout Ontario and across Canada, our skilled workforce is our greatest asset. We’ve been investing in giving people the right training for today’s market, and we will collaborate with every province and territory to make sure individuals get the support they need to contribute to Canada’s economic prosperity,” said Ontario Premier Kathleen Wynne, incoming Chair of the Council.